Apple pushed out the 10th iOS 11 update while skipping over iOS 11.2.3 and iOS 11.2.4. Not sure why they decided on that but whatever. With the release of iOS 11.2.5 brings the support for the upcoming Apple HomePod. The HomePod is a speaker assistant device like Amazon Alexa and Google Home. Apple is way late to the game and it will be interesting to see how they fair in that market. 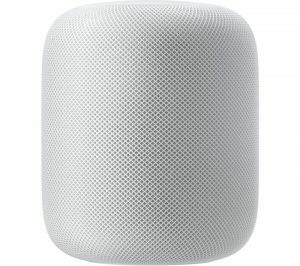 Preorders for the HomePod will start on this Friday and the final release date will be February 9th. It will be priced way more than Amazon or Google’s assistant, but it is said to be a much better experience and a really good speaker. You can expect to pay $349 for either white as shown to the right or black.